Lawyer Engin Gokoglu who was arrested on 20 September, 2017 along with 13 other lawyers was subjected torture at the prison located in the province of Tekirdag. Gokoglu is the lawyer of jailed activists Nuriye Gulmen and Semih Ozakca who are on strike to protest the unlawful dismissals under the state of emergency rule. On 12th September 16 lawyers who are the members of People’s Law Office (Halkın Hukuk Bürosu) and Umut Law Office were taken into custody after the police raid in Ankara, Istanbul and Diyarbakır. On 20th September, 14 lawyers, Didem Ünsal, Aytaç Ünsal, Yağmur Ereren, Barkın Timtik, Ebru Timtik, Şükriye Erden, Engin Gökoğlu, Süleyman Gökten, Ozgur Yılmaz, Ayşegül Çağatay, Behiç Aşçı, Aycan Çiçek, Zehra Özdemir, Özgür Yılmaz were arrested by a Istanbul Peace Criminal judge. As it was reported by People’s Law Office, on 30th October, lawyer Engin Gokoglu was beaten and subjected torture by corrections officers in the Tekirdag Prisonhouse. His arm was broken due to torture, although his arm was broken, he was handcuffed, stripped off and waited for hours before taken to the hospital. 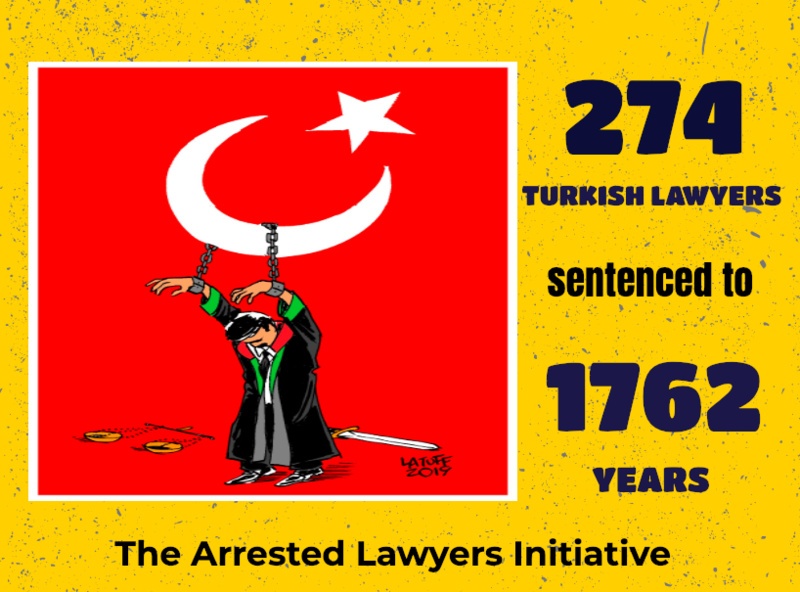 As of today, 555 lawyers have been arrested and 1424 lawyers are under prosecution, 62 lawyers were sentenced to long imprisonment. Some of the arrested lawyers were subjected torture and ill-treatment.